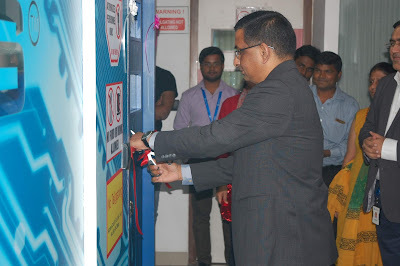 Aujas Cyber Defense Center, an ISO 27001 certified Global Delivery SOC (Security Operations Center) has gone live in Bangalore today. It is designed to extend the capabilities of SIEM (Security Incident and Event Management) solutions and proactively provide threat detection, actionable threat intelligence and endpoint response. This aims to help security professionals hunt and mitigate the increasingly complex and persistent threats of the present and future. In 2017, the threat landscape consisted of 58 per cent known threats and and 42 per cent unknown threats. Further, before 2020, it is likely to exceed that of the known, according to IBM X-Force Threat Research report. “It is true that technology has evolved and the modern SIEM is truly an integrated solution built on a common codebase, with a single data management architecture and a single user interface. This helps with better correlation, integrated with tactical threat intelligence feeds, capability to link assets with vulnerabilities and do prioritization with run book automation, but still, that is not enough,” said Rao. Firstly; not all logs lead to attack patterns; in fact, modern attacks do not even leave logs. So, how do you know whether your system has been compromised? To understand whether and how an adversary has breached your network, improve your defenses and stop future attacks, you must build capabilities in Deception, User and Entity Behavior Analytics and Threat Hunting. Advanced technology, effective use cases, seamless processes and workflows and automation are good supports to sound decision making. But the real key to cybersecurity is the human capability to hunt and make sense of data. At the Aujas Cyber Defense Center, a skilled team of certified security professionals scans client’s network for suspicious behaviour round-the-clock. It collects threat data from the external landscape and combines this information to identify risks. It also separates the false positives/deceptive, validates real risks and prioritizes them. The team then recommends rapid counter-measures to provide complete cover on threats and intrusions in real time. They conduct a detailed root cause and impact analysis and recommend policy/rule changes to preempt future attacks. With this right blend of technology, processes and people, Aujas SOC offers 100% service availability in the steady state.